running through Sunday, November 18. 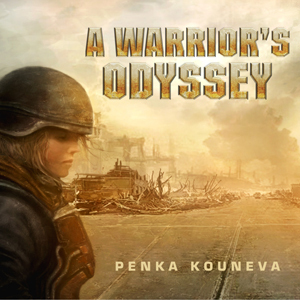 Composer Penka Kouneva's breakout cinematic instrumental album, A WARRIOR'S ODYSSEY is now on sale for one week for $9.95 in honor of Veterans. In addition, Penka is donating half of all proceeds from CD sales during the months of November and December 2012 to Hope for the Warriors ®. A WARRIOR'S ODYSSEY features a 12-page booklet with beautiful artwork created by Ognian Bonev, insert designs by Luis M. Rojas, and liner notes authored by Gergely Hubai.